Küreselleşme ile birlikte yurt dışında yatırım yapmak isteyen firmalara yönelik olarak yeni fırsatlar ortaya çıkmaktadır. Çoğu ülke ekonomik büyümeyi sürdürülebilir kılmak için DYY’yi (Doğrudan Yabancı Yatırımlar) çekmede avantajlı konumda olduğu bazı faktörler üzerinde durmaktadır. Bir firmanın kendi ülkesi dışında başka ülkede yatırım yapma kararı farklı gerekçelerle açıklanabilir. Fakat en az yolsuzluk seviyesine sahip ülkelerden yatırımlar için daha elverişli bir yatırım iklimi sağlamasından dolayı arzu edilen miktarda DYY çekebilmesi beklenmektedir. Bu bakış çerçevesinde çalışmada yolsuzluk ve DYY arasındaki ilişki “Geçiş Ekonomileri” olarak adlandırılan Orta ve Doğu Avrupa ülkeleri (1996-2013) ile Eski Sovyetler Birliği ülkeleri (1998-2013) için panel veri yöntemi ile ayrı ayrı araştırılmıştır. Çalışmada yolsuzluğun DYY üzerinde önce pozitif ardından negatif bir etkisi olduğu görülmüş ve bu ilişkinin yolsuzluktan DYY’ye doğru tek yönlü olduğu bulgusuna ulaşılmıştır. Çalışmanın bulgularına göre ülkelerin DYY girişlerini artırmaları için yolsuzluğun azaltılması önemli bir strateji olarak görülmektedir. New opportunities are emerging for countries which want to invest abroad with the diffusion of globalization. Most countries lay emphasis on some factors which make them profitable to attract foreign direct investment for possible sustainable economic growth. The decision of a company which is investing in foreign countries instead of their country can be explained with various reasons. Countries with least corruption level provide convenient atmosphere for foreign investors. These countries are expected to attract desired amount of FDI. Within this perspective, corruption and FDI relation for Central and Eastern (1996-2013) and former Soviet Union (1998-2013) countries called “Transition Economies” were analyzed separately in this study. At first, a positive effect of corruption on FDI was found and then a negative effect emerged, this relation was unidirectional and from corruption to FDI. According to findings of this study, raising foreign direct investment inflows is seen as an important strategy for countries to reduce corruption. Abed, G. T. and Davoodi, H. R. (2000). Corruption, Structural Reforms, and Economic Performance in the Transition Economies. Imf Working Paper, No: 00/132. Ağayev, S. and YamaK, N. (2009). Bağımsız Devletler Topluluğu Ülkelerinde Ekonomik Büyümenin Belirleyicileri. 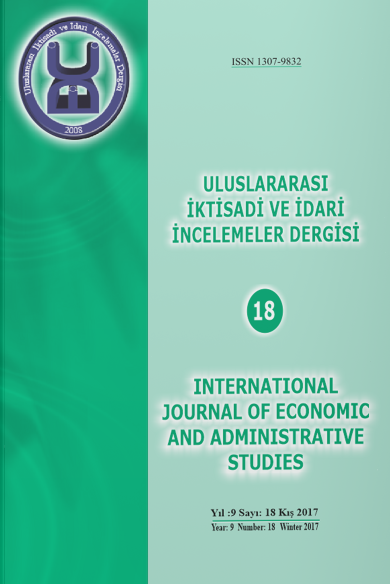 Atatürk University Faculty of Economic and Administrative Sciences Journal, 23(4), 179-204. Al-Sadig, A. (2009). The Effects of Corruption on FDI Inflows. Cato Journal, 29(2), 267-294. Bal, H. (2003). Geçiş Ekonomilerinde Ekonomik Performans Ve Yatırım İklimindeki Gelişmelere Bir Bakış. Manas University International Symposium of Transition Countries on Transition Period of Primary Market Economies. Bardhan, P. (1997). Corruption And Development: A Review of Issues. Journal of Economic Literature, 35(3), 1320-1346. Bevan, A. A. and Estrin, S. (2000). The Determinants of Foreign Direct Investment in Transition Economies. CEPR Discussion Paper, No: 2638. Bevan, A., Estrin S. and Meyer, K. (2004). Foreign Investment Location and Institutional Development in Transition Economies. International Business Review, 13(1), 43-64. Biglaiser, G. and Derouen, K. (2006). Economic Reforms and Inflows of Foreign Direct Investment in Latin America. Latin American Research Review, 41(1), 51-75. Brouthers, L.E., Gao, Y. and Mcnicol, J.P. (2008). Corruption and Market Attractiveness Influences on Different Types of FDI. Strategic Management Journal, 29(6), 673–680. Busse, M. A. and Hefeker, C. (2007). Political Risk, Institutions and Foreign Direct Investment. European Journal of Political Economy, 23(2), 397–415. Caetano, J. A. and Calelro, A. (2009). Is There A Relationship Between Transparency in Economic and Political Systems Aad Foreign Direct Investment Flows?. The Icfai University Journal of Applied Economics, 8(2), 45-58. Castro, C. A. and Nunes, P. (2013). Does Corruption Inhibit Foreign Direct Investment?. Politica / Revista De Ciencia Politica, 51(1), 61-83. Craıgwell, R. A and Wright, A. (2011). Foreign Direct Investment and Corruption in Developing Economies. Evidence from Linear and Non-Linear Panel Granger Causality Tests. Economics Bulletin, 31(3), 2272-2283. Cuervo-Cazurra, A. (2006). Who Cares About Corruption?. Journal of International Business Studies, 37(6), 807-822. Cuervo-Cazurra, A. (2008). Better The Devil You Don't Know: Types Of Corruption and FDI in Transition Economies. Journal of International Management, 14(1), 12–27. Dahlström, T. A. and Andreas, J. (2007). Bureaucratic Corruption, Mnes and FDI. Royal Institute Of Technology, CESIS-Centre Of Excellence For Science And Innovation Studies, No. 82. Della Porta, D. A and Vanucci, A. (1999). Corrupt Exchanges, Actors, Resources and Mechanisms of Political Corruption, 1st Edition, New York, NY. Dumitrescu, E. I. A. and Hurlin, C. (2012). Testing For Granger Non-Causality in Heterogeneous Panels. Economic Modelling, 29(4), 1450-1460. Egger P. A. and Winner H. (2005). Evidence On Corruption As an Incentive for Foreign Direct Investment. European Journal of Political Economy, 21(4), 932–952. Egger, P. A. and Winner, H. (2006). How Corruption Influences Foreign Direct Investment: A Panel Data Study. Economic Development and Cultural Change, 54(2), 459-486. Gani, A. (2007). Governance and Foreign Direct Investment Links: Evidence From Panel Data Estimations. Applied Economics Letters, 14(10), 753–756. Habib, M. A. and Zurawicki L. (2001). Country-Level Investments and The Effect of Corruption Some Empirical Evidence. International Business Review, 10(6), 687–700. Haksoon, K. (2010). Political Stability and Foreign Direct Investment. International Journal of Economics And Finance, 2(3): 59-71. Hellman, J. S., Jones, G. A. and Kaufmann, D. (2000). Are Foreign Investors and Multinationals Engaging in Corrupt Practices in Transition Economies?. Stockholm Institute for Transition Economies , 11(3-4), 4-7. Hines, J. (1995). Forbidden Payment: Foreign Bribery and American Business After 1977. National Bureau of Economic Research (NBER) Working Paper, No:5266. Im, K. S., Pesaran, M. H. A. and Shin, Y. (2003). Testing for Unit Roots in Heterogeneous Panels. Journal of Econometrics, 115(1), 53-74. Javorcik, B. S. A. and Wei, S-J. (2009). Corruption and Cross-Border Investment in Emerging Markets: Firm-Level Evidence. Journal of International Money and Finance, 28(4), 605-624. Keefer, P. A. and Knack, S. (1995). Institutions and Economic Performance: Cross-Country Tests Using Alternative Institutional Measures. Economics and Politics, 7(3), 207-227. Ketkar, K. W., Murtuza, A. A. and Ketkar, S.L. (2005). Impact of Corruption On Foreign Direct Investment And Tax Revenues. Journal of Public Budgeting, Accounting & Financial Management, 17(3), 313-341. King, A. K. (2003). The Link Between Foreign Direct Investment and Corruption in Transitional Economies. Carleton University, Ottawa/Ontario, 2003. Kinoshıta, Y. A. and Campos, N. F. (2003). Why Does FDI Go Where It Goes? New Evidence from the Transition Economies. William Davidson Institute Working Paper, No. 573. Koyuncu, J. Y. (2011). Yargı Bağımsızlığı, Mülkiyet Hakkı Ve Yolsuzluğun Yabancı Sermaye Girişleri Üzerindeki Etkisi. Dumlupınar University Journal of Social Sciences, 29(29), 143-148. Lucas, R. E., (1990). Why Doesn’t Capital Flow From Rich To Poor Countries?. American Economic Review, 80(2), 92-96. Maddala, G. S. A. and Wu, S. (1999). A Comparative Study Of Unit Root Tests With Panel Data And A New Simple Test. Oxford Bulletin of Economics And Statistics, 61(1), 631-652. Mathur, A. A. and Singh, K. (2013). Foreign Direct Investment, Corruption and Democracy. Applied Economics, 45(8), 991-1002. Mauro, P. (1995). Corruption And Growth. Quarterly Journal of Economics, 110(3), 681-712. Mauro, P. (1996). The Effects of Corruption on Growth, Investment, and Government Expediture. International Monetary Fund, IMF Working Paper No: 96/98. Pedroni, P. (1999). Critical Values For Cointegration Tests in Heterogeneous Panels With Multiple Regressors. Oxford Bulletin of Economics and Statistics, 61(1), 653-670. Pedroni, P. (2000). Fully Modified OLS For Heterogeneous Cointegrated Panels. Advances in Econometrics, 15, 93-130. Pedroni, P. (2001). Purchasing Power Parity Tests in Cointegrated Panels. Review of Economics And Statistics, 83(4), 727-731. Pedroni, P. (2004). Panel Cointegration: Asymptotic and Finite Sample Properties of Pooled Time Series Tests With an Application to the PPP Hypothesis. Econometric Theory, 20(3), 597-625. Primorac, D. A. and Smoljic, M. (2011). Impact of Corruption on Foreign Direct Investment. Megatrend Review, 8 (2), 169-190. Reiter, Sandy L. A H. and Kevin, S. (2010). Human Development and Foreign Direct Investment in Developing Countries: The Influence of FDI Policy and Corruption. World Development, 38(12), 1678-1691. Rose-Ackerman, S. (1999). Corruption and Government: Causes, Consequences, And Reform, 1st Edition Cambridge, UK. Samadi, S., Fathi, S. A. and Tahmasebi, S. (2011). Impact of Foreign Direct Investment on Financial Development Present to Political Corruption in the Countries of D- 8. Interdisciplinary Journal of Contemporary Research In Business, 3(5), 445-450. Smarzynska, B. K. A. and Wei, S. J. (2000). Corruption and Composition of Foreign Direct Investment: Firm-Level Evidence, NBER Working Paper, No.7969. Tandırcıoğlu, H. A. and Özen, A. (2003). Geçiş Ekonomilerinde Doğrudan Yabancı Sermaye Yatırımları. Dokuz Eylül University Journal of the Institute of Social Sciences, 5(4), 105-129. Tosun, M.U., Yurdakul, M.O. A. and İyidoğan P. V. (2014). The Relationship Between Corruption and Foreign Direct Investment Inflows in Turkey: An Empirical Examination Transylvanian. Review of Administrative Sciences, 10(42), 247-257. Popper, K. (1996). Transparency International. The TI Source Book, Berlin. UNCTAD (United Nations Conference On Trade And Development), (1998). World Investment Report: Trends And Determinants. New York And Geneva. Wu, S-Y. (2006). Corruption and Cross-Border Investment by Multinational Firms. Journal of Comparative Economics, 34(4), 839-856. Zurawicki, L. A. and Habib, M. (2010). Corruption And Foreign Direct Investment: What Have We Learned?. The International Business & Economics Research Journal, 9(7), 1-9.